We know it’s all about experiences, so forget boring do something a little different this time. It is time to connect and have a truly vibrant, abundant human experience. These are like no other interactive events. The ROI is outstanding because guests literally talk about them for years. NEW – Speed it up! Full evening or a 1.5-hour murder party! Whatever best suits your event. We’ve been doing this for 19 years, we are the Masters. If your event is for 20 people or 300, social or a team building, we can provide an exceptional event. 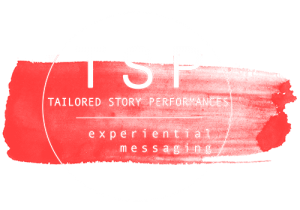 EXPERIENTIAL ENTERTAINMENT – It is a proven fact that people love experiences. They remember experiences. They also need to connect. We are all so busy and get so caught up in our “heads” that connecting on a fun level is getting harder and harder. The joy of our LUXE Murder & Mystery Parties is people get to escape the noise in their head. They get to connect authentically. How refreshing is that! CREATIVITY – Not only are they having fun they also get to create. Science tells us the importance of creativity for the brain and for an abundant life. Seriously how often do we get a chance to do that in our workplaces or with our work colleagues and friends? This is a non-threatening creative environment that is remarkably comfortable for extroverts and introverts alike. Now that really is something else! A TRUE ESCAPE – We all like to escape. That is why we love movies, music and video games. Our LUXE Murder & Mystery parties is a proven activity allowing people to leave their “everyday” behind and enter the worlds of gangsters, pop icons, disco fever, the wild wild west and not forgetting our favourites – mystery and intrigue. LET’S CHAT – Give us a call so we give your event the WOW factor. 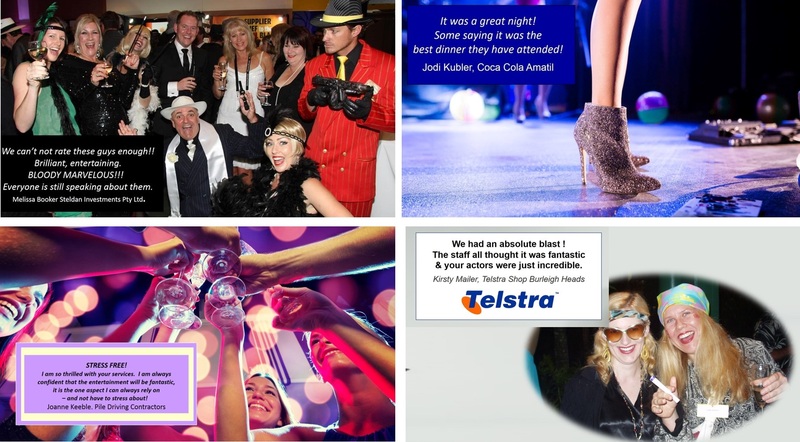 Some of our past Murder Party event participants include : – ASIC, Telstra, Greencross Vets, Austar, BP, Caltex, Eli Lilly, Energizer, Volvo, PA Hospital and many more…. 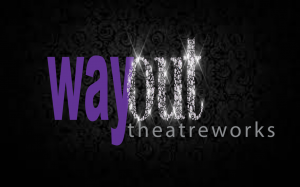 Go to www.wayouttheatreworks.com for videos and more information. Ideal for Gala & Conference dinners, social, team building & Christmas parties.